Graduated Law School Feb. 1967, member Illinois Bar Association, member Chicago Bar Association, Workman’s Compensation Lawyers Association. Robert Briskman has been in private practice for over 30 years, representing the “average” person with the same professional approach many attorneys employ only for clients of significantly higher profile and financial status. He received his undergraduate degree from the University of Illinois at Champaign. Robert continued his education at Chicago Kent Law School where he received his J.D. Upon his successful completion from law school, Robert entered private practice and founded the firm Torme, Horwich & Briskman. Torme, Horwich & Briskman specialized in Family Law with a particular emphasis on Civil Litigation. After ten years of successful tutelage with the well-respected Mr. Torme and Mr. Horwich, Robert had developed an extensive knowledge and sparkling skill in the specialized area of Torts. When Mr.Torme and Mr. Horwich retired, they elected to shepherd their healthy clientele into the capable hands of Robert Briskman. Mr. Briskman founded another new firm, Goldstein, Simon & Briskman, which counted among its ranks his capable brother Arnold. Goldstein, Simon & Briskman concentrated on all of the varied aspects of Civil Litigation and flourished for over ten years. Robert’s tenure with the firm garnered him both the high regard of his fellow lawyers and a well-earned reputation for methodical, tireless and successful efforts on behalf of his clients. In 1987 Robert and Arnold realized their dreams by founding Briskman and Briskman and decided to specialize in personal injury and workman’s compensation cases. Robert’s litigation skills made him a formidable advocate in any legal forum. Within a very short time, Briskman & Briskman had made a name for itself. Briskman & Briskman has recently added several new employees, to better serve their clients’ needs. But on most days, you’ll still find Robert in the Courthouse or at his desk, pouring over the firm’s case load. He constantly and doggedly pursues legal remedies for his many clients and often puts in a much longer day than many of his peers. 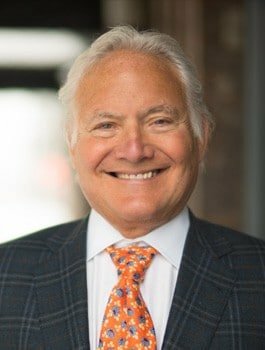 Robert Briskman’s enduring philosophy and steadfast work ethic have helped make Briskman & Briskman one of the most respected and successful Injury Law practices in America.